Being fiscally responsible and filling up at the most competitively-priced gas station is a no-brainer, but when it comes to truly saving money on fuel, it starts the moment the key hits the ignition. According to the U.S. Department of Energy, aggressive driving like speeding, rapid acceleration and braking is the quickest way to waste gas and can lower gas mileage by as much as 40 percent. 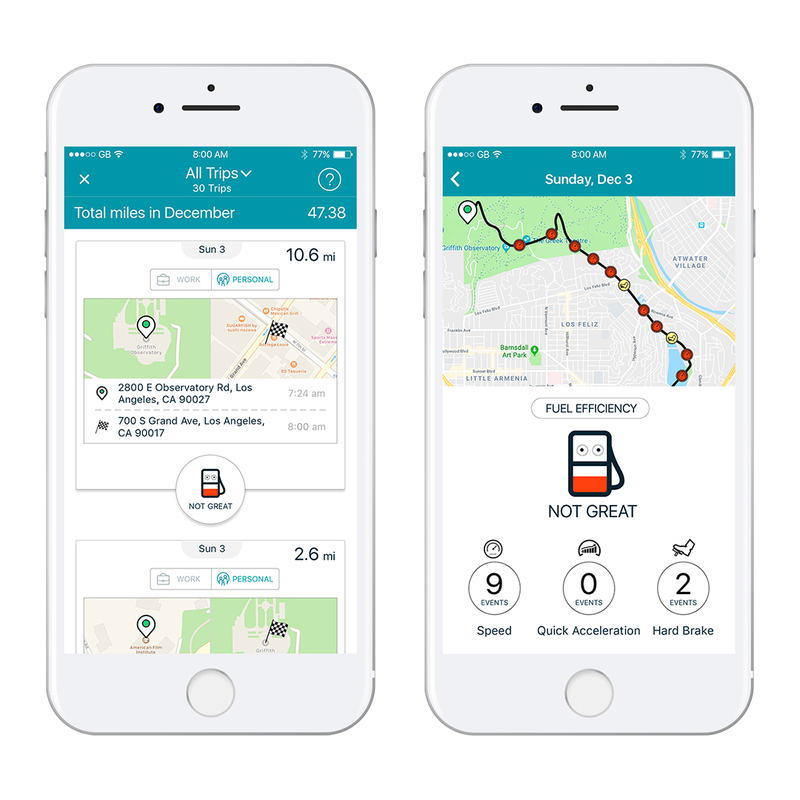 GasBuddy, the only smartphone app connecting more than 70 million drivers with the Perfect Pit Stop, today announced the new Trips feature, pinpointing exactly where and when they have been guilty of fuel-inefficient driving. With the new Trips feature, drivers get an assessment of their trips based on a 3-tier rating system — great, not bad, or not great. The summaries include the date, time, distance and maps out when and where during the trip a poor driving habit occurred whether it be speeding, hard braking or acceleration. 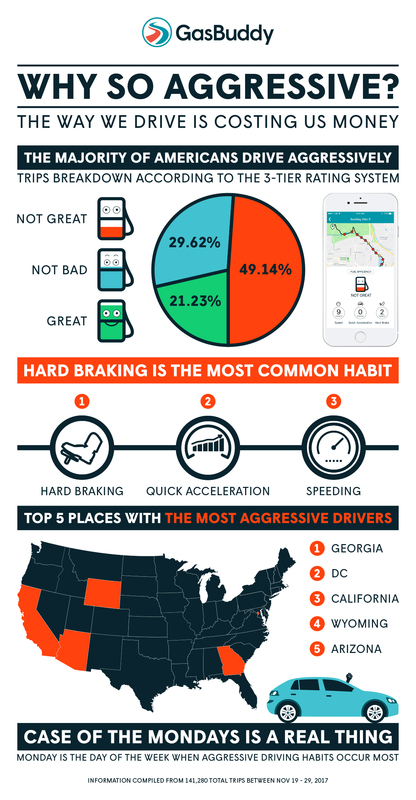 During beta testing, GasBuddy analyzed more than 140,000 individual trips and found that a majority of trips (78 percent) fell into the “not bad” and “not great” buckets, meaning there are instances of fuel-guzzling habits with hard braking being the #1 culprit. Download the latest version of the free GasBuddy app for iOS and Android at http://www.gasbuddy.com/app. GasBuddy is a smartphone app connecting drivers with their Perfect Pit Stop. With 70 million downloads, GasBuddy is the leader in crowdsourced information to help drivers find the best gas prices, closest stations, friendliest service, cleanest restrooms, tastiest coffee and much more. GasBuddy is the leading source for the most accurate, real-time fuel prices at more than 140,000 gas stations in the U.S., Canada and Australia. The Company’s B2B Retailer Software-as-a-Service (SaaS), known as GasBuddy Business Pages, provides Fuel Marketers and Retailers their best opportunity to maintain their station information, manage their brand, and promote to their target consumer audience. For more information, visit http://www.gasbuddy.com or email press(at)gasbuddy.com.